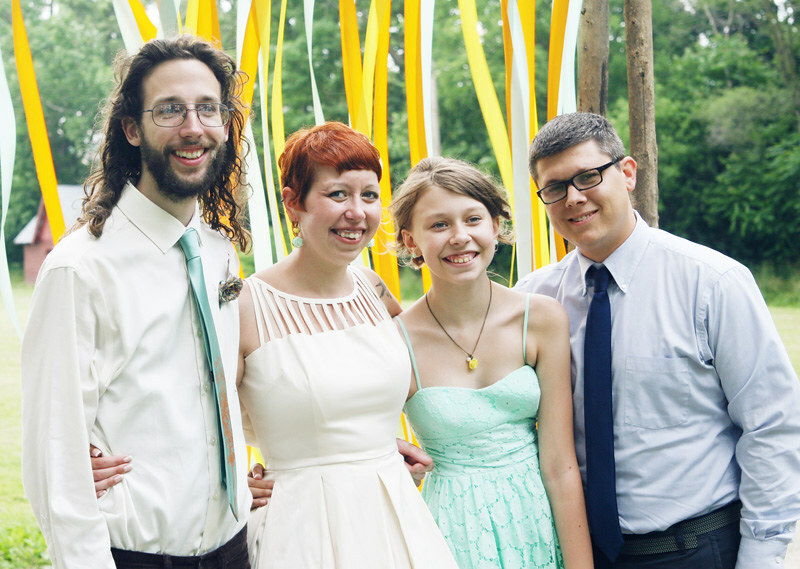 Polyamory in the News: Offbeat Bride: "Angi & Bret's polyamorous backyard wedding"
Offbeat Bride: "Angi & Bret's polyamorous backyard wedding"
Offbeat Bride features another poly wedding story with lots of pictures. This one's by activist Angi Becker Stevens, who unofficially married her boyfriend while still married to her husband, who assisted at the wedding. She wrote about their plans nearly a year ago in Salon and more recently in another story in Offbeat Bride. It all happened as planned. Read on, with lotsa pix (Aug. 20, 2014). And here's a previous poly wedding featured at Offbeat Bride, with links to more.